Magnificent conditions welcome hundreds and hundreds of avid sailors participating on the 1st day of Antigua Classics Yacht Regatta, which is publicly funded by Charter Yachts Scotland. The fleet of forty six classics was a magnificent view, gathered outside Falmouth Harbour in Antigua to race The Old Road course. The fight in Spirit of Tradition Class was just magnificent. Following 2-and-a-half hours of racing, under 2 minutes separated 3 top yachts. The champ was J Class Rainbow JH2, re-made by Dykstra Naval Architects, as per to 1937 Starling Burgess design. German Frers, which is 140 ft ketch Rebecca, took these honors, but after time rectification, was placed 2nd by only thirty two seconds. 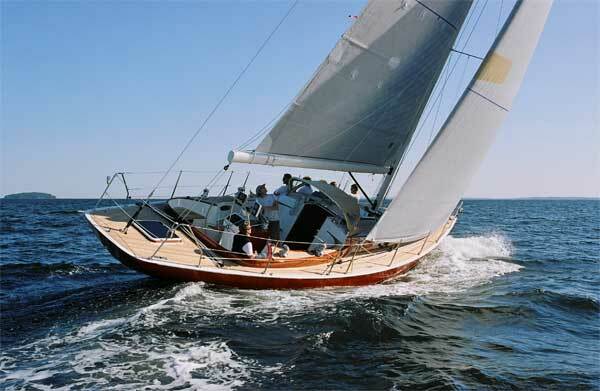 The 74′ Joel White planned ketch, Dragonera was 3rd in Spirit of Tradition Class. Rebecca’s Stan Pearson said that they now know that they are in a battle. Rebecca was just flying along today, but they left a few minutes out there on the race course. They know that they are capable of beating Dragonera as well as Rainbow but this looks like it is going to be a great Regatta. The squalling weather of the day had given path to solid trade winds, along with perfect fifteen to twenty knots of breeze coming from the east, starting the featured Antiguan swell. The Old Road Course began with a 4 mile reach south, after that a downwind leg to Old Road Bluff was followed by a beat back to starting region. With a reach south as well as a reciprocal reach to the end, the fleet relished a race of approximately twenty miles.